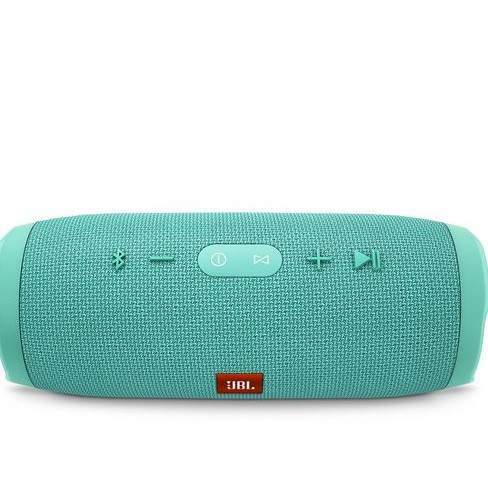 JBL Charge 3 All colours, down from £149 to £89.86 in Dixons Travel at airports that have one. Been eyeing one up for a while, but baulked at the £149 they are on sale at. Was tempted by the refurbished ones at £99 from JBL Direct but saw this today and jumped on one of the blue ones. Says one year warranty but the ones from PC World/Currys are 2 years so not sure why they are different as they are all the same company. Possible just a Black Friday/Cyber Monday deal so might expire after tomorrow (not confirmed though). Give your local one a ring to confirm if you are flying, or know someone who is, or knows someone that works at the airport. Good saving if you were after one already. Added a pic. Didn't know how to do it originally because there is no active link to go through to. Been looking for this for my nephew for a while now and this a god price however I will hold off a little longer , I'v seen it at this price before and I hope it might still get lower. Plus not flying anywhere really right now......Overpriced for just a speaker IMO , wouldn't get one for myself.